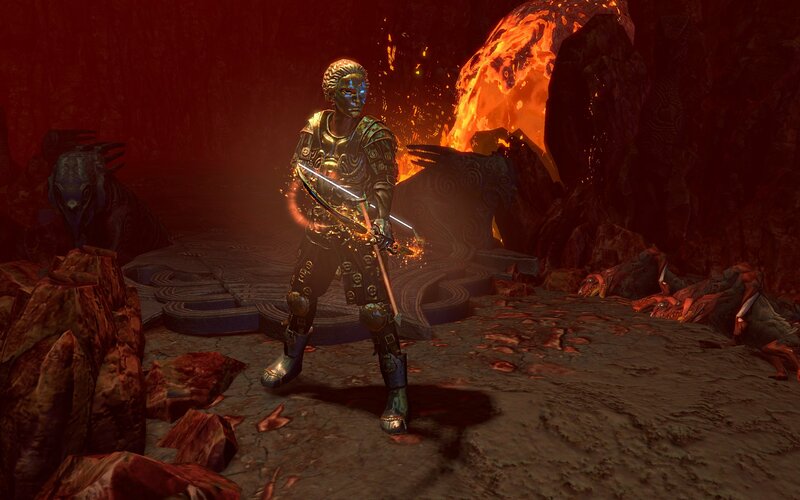 Path of Exile will soon be receiving a new expansion pack called The Awakening. This expansion will introduce a fourth act to the PC action RPG. "Dominus is dead, but the source of his fearsome power remains," says the expansion's website. "Travel north from Sarn to Highgate and delve into the darkness that lurks beneath the mountains there. Explore all-new areas and face the legends of Wraeclast as you seek to put an end to the Nightmare." During The Awakening, players will find 13 new skill gems to add to their equipment. The full list of new skills wasn't announced. However, the expansion's site mentions summoning elemental golems and performing warcries. In a twist, players will now be able to socket gems into their Passive Skill Tree. These gems can provide additional stat bonuses when socketed. A few also affect how you allocate skill points. For example, the Intuitive Leap gem lets you put points into skills that aren't connected to the rest of your tree. Fluid Motion switches nearby Strength bonuses in your skill tree to Dexterity. This is bound to make the Passive Skill Tree even more intimidating to newcomers but there's no doubt it gives players a lot more flexibility in crafting their custom characters. Developer Grinding Gear Games plans to hold a closed beta for The Awakening so players can try out the new content in advance and help them smooth out any wrinkles. The closed beta will kick off on April 20th. You can register here for a chance to be invited. "Because of the expansion's testing needs, we'll be starting out with a smaller Beta population and will expand it to a large one over approximately six weeks," said Grinding Gear. "We're not announcing a final release date for The Awakening yet until the exact duration of the Beta is known. After working on it since 2013, we're really excited to finally let you guys play The Awakening!" 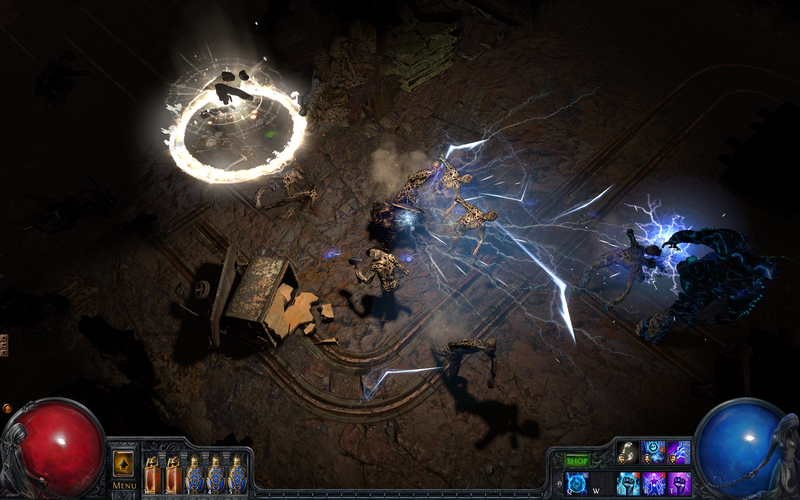 Path of Exile officially launched to the public in October 2013 following a lengthy beta and years of development. 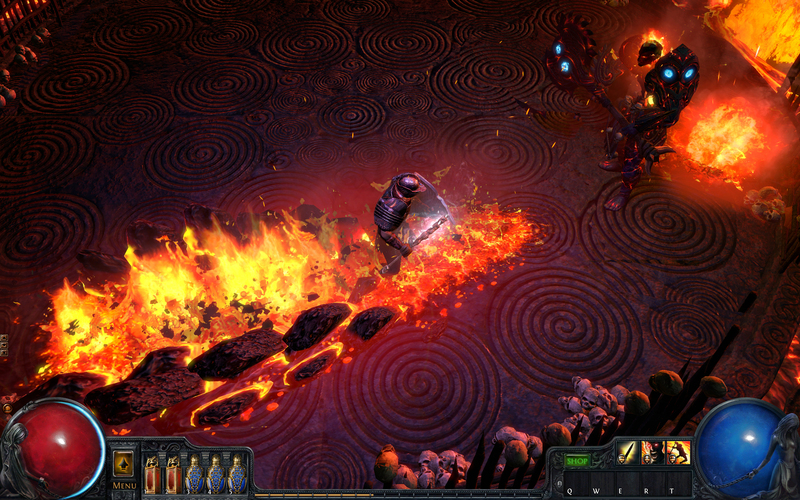 Like every other isometic action RPG out there, Path of Exile gets compared to Diablo 3 a lot. There are a lot of differences between the games. In addition to having deeper customization than D3, PoE also features much more extensive PvP and is free-to-play.